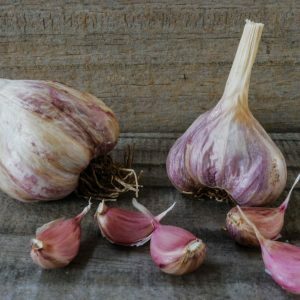 The Subtropical Group of garlics are a unique warm climate, daylight neutral garlic that seems to have originated in Formasa (now known as Taiwan). 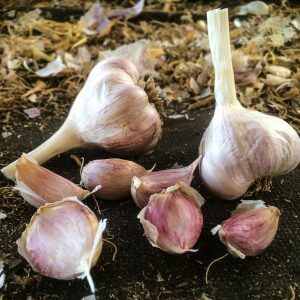 They are unique in their lack of chill requirement that all other temperate, cool and cold climate garlics require and for their short growing season of only 5 months in warm climates. 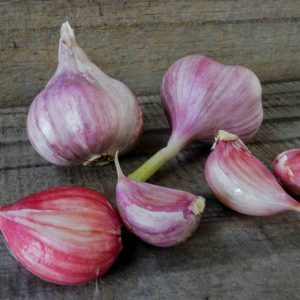 Another unique characteristic which often confuses the novice garlic grower is that it produces a terminated scape in the pseudostem – meaning that when prepared for sale, you will see a scape at the centre of the stem and bulb, however this scape never emerges from the leaves when growing and it appears as a softneck would. 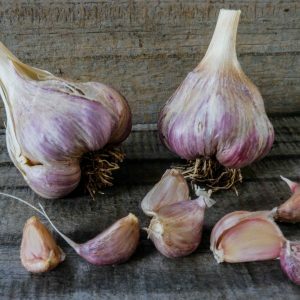 Another great benefit for us in cooler climates is that Subtropicals will very happily grow in greenhouses and are capable of producing two crops per year.